We have a quality range of Promotional Tea Towels available for printing in a few choices of finishes to suit most designs. Made from 100% cotton, these can be printed full colour, all over one side in stunning photographic detail. 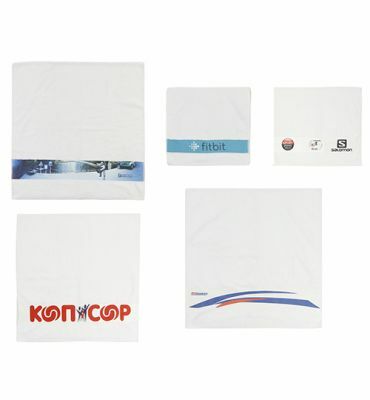 Alternatively, we offer a micro fibre tea-towel with a terry cotton backing again for digital printing all over one side. A very Cost-effective and practical giveaway, ideal for any product or brand, that will continue to advertise brands with every use. Please enquire whether your design is suitable to print, as it is subject to the complexity of the logo and can be confirmed on receipt of artwork. The products we supply have excellent wash fastness and durability. 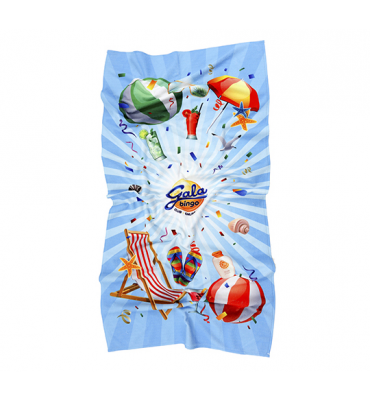 A firm favourite for summertime promotions and company giveaways, this super absorbent innovative towel makes it a great option for the beach, pool, gym or spa. Where branding or logos fit neatly into borders, this full-colour dye sublimation border towel offers a more subtle approach compared to our fully printed towels.